Tommy Gilbert is charged in his father's shooting death. The son of a hedge fund founder accused in his father’s shooting death made his initial court appearance Monday, standing with his defense attorneys and saying nothing. Tommy Gilbert, 30, did not enter a plea. He’s charged with murder in the second degree for the fatal shooting of Thomas Gilbert, 70, along with a weapons charge and 21 counts of criminal possession of forgery devices – with authorities saying they recovered a skimming device and 21 blank credit cards from Gilbert’s apartment. Monday’s hearing was deferred at the request of defense. Gilbert is remanded into custody until his next hearing, which is scheduled for Friday, Jan. 9. 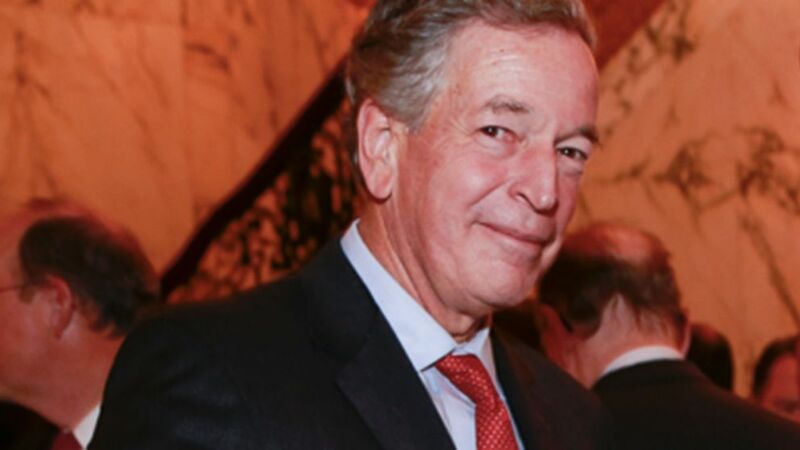 Thomas Gilbert, the founder of Wainscott Capital Partners, was found shot dead in his Manhattan apartment Sunday. Tommy Gilbert was taken into custody around 10:45 p.m. Sunday, authorities said. He was interrogated by police and arrested at 11 a.m. Monday, police said. (Kevin Kane) Thomas Gilbert is pictured attending the annual 2013 Hedge Fund Association conference in New York City. Detectives believe the elder Gilbert was killed by his son, who then left the murder weapon -- a .40 caliber Glock 22 -- in the bedroom to make it look like a suicide. Police said the son entered his parents' Beekman Place home Sunday afternoon and asked his mother to get him a sandwich. Boyce said that the mother "had a bad feeling" after leaving the two men alone together and decided to return to the apartment, but when she came back she found her husband shot in the head in his bedroom. Investigators told ABC News that the father recently discussed no longer paying his son's rent. They also say he discussed reducing his weekly allowance from $400 per week to $300. (Sylvain Gaboury/PatrickMcmullan.com) Tommy Gilbert attends The School of American Ballet's 2014 Winter Ball at David H. Koch Theatre in New York, March 3, 2014. Public records show that Tommy Gilbert was arrested in Southampton in September for second degree criminal contempt for allegedly violating an order of protection, though no specifics about the restraining order were released. He has not yet entered a plea in this case and a hearing is scheduled for Feb. 2. A spokesman for Princeton University confirmed that both Gilberts graduated from the school. The father graduated in 1966 and the son graduated in 2009. The son also attended Deerfield Academy and graduated there in 2003. Tommy Gilbert's activity after his college graduation has not yet been revealed publicly. His father is listed as the founder of Wainscott Capital Partners, a hedge fund that focused its assets on healthcare and biotech investing. The company last reported that it had more than $15 million under management, according to FINalternatives editor Deirdre Brennan.